This is a refilling tool for your dual coil tank. It is a funnel with 2 side holes at the base that allow for easy filling of your tank without making a mess. 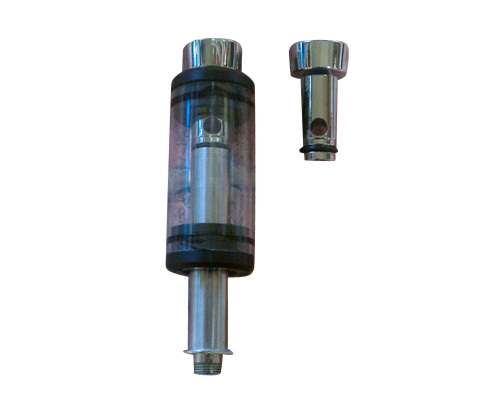 To operate place the refilling tool in the end of the cartomizer like you would a drip tip. Then push down until the tank is seated all the way down on the top of the tank. You will see the side holes of the tool inside the tank. Then add your favorite e-liquid.